5G technology, with high capacity and low latency, will be a key building block in the future transport system. Einride claims that, in the long run, their T-pod and autonomous transport system could replace more than 60 percent of today’s transports with competitive and sustainable alternatives. “Einride’s goal is to lead a sustainable transformation of the freight transport sector. And while we do this, security must remain our highest priority. 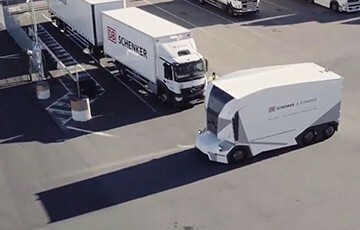 5G offers the connectivity and reliability required to safely launch T-pods on public roads, which, in turn, will reduce carbon dioxide emissions and completely eliminate nitrogen oxides,” says Robert Falck, CEO and founder of Einride.